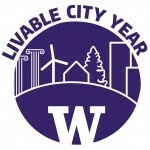 Wednesday, May 30, 2018, 3–5 p.m.
Help us celebrate the year-long Livable City Year partnership between the University of Washington and the City of Tacoma. City project leads and dozens of students and faculty across many disciplines will be on hand to discuss this year’s projects in the City of Tacoma. Come learn about their work and celebrate this large-scale, university-city partnership in support of livability and sustainability. For additional information, contact LCY Program Manager Teri Thomson Randall at terir@uw.edu. All are welcome to attend, but RSVPs are appreciated for planning purposes. 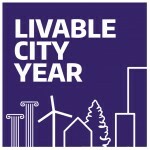 Livable City Year is a cross-university collaboration connecting local governments with University of Washington classes to address community-identified areas of need. UW students and professors have worked with the City of Tacoma this year on 27 projects that advance goals outlined in the Tacoma 2025 Strategic Plan and the One Tacoma Comprehensive Plan.